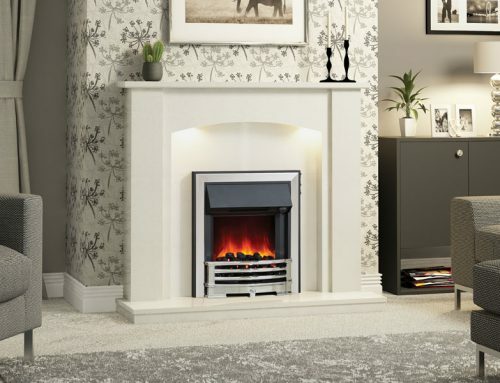 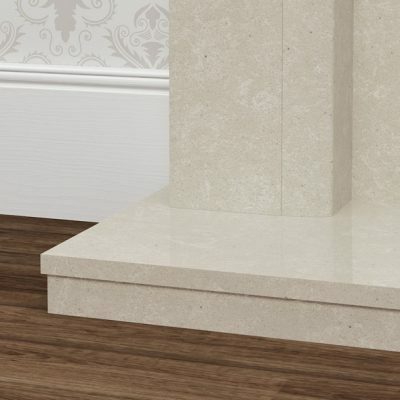 It’s easy to succumb to the charms of this fine-tuned surround with the hint of a curve and enough depth to add the drama of under mantel lighting. 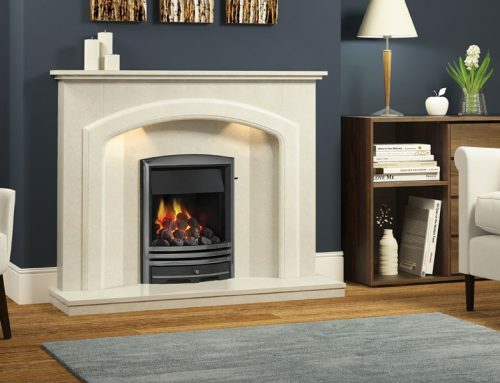 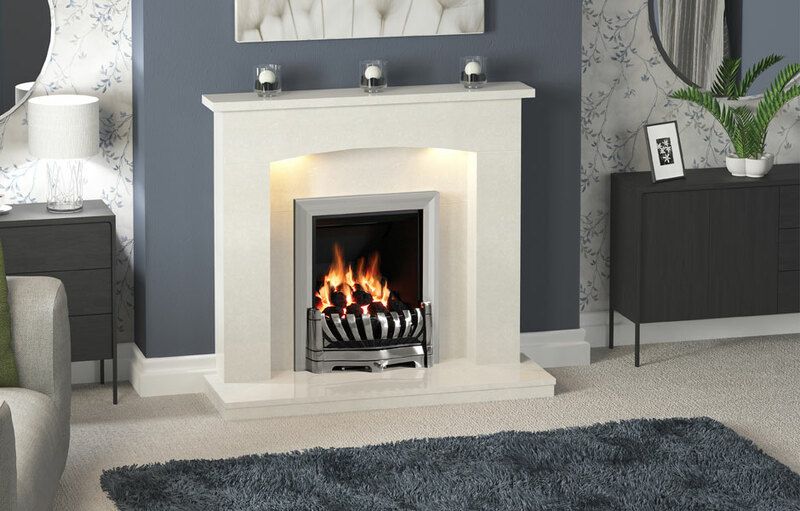 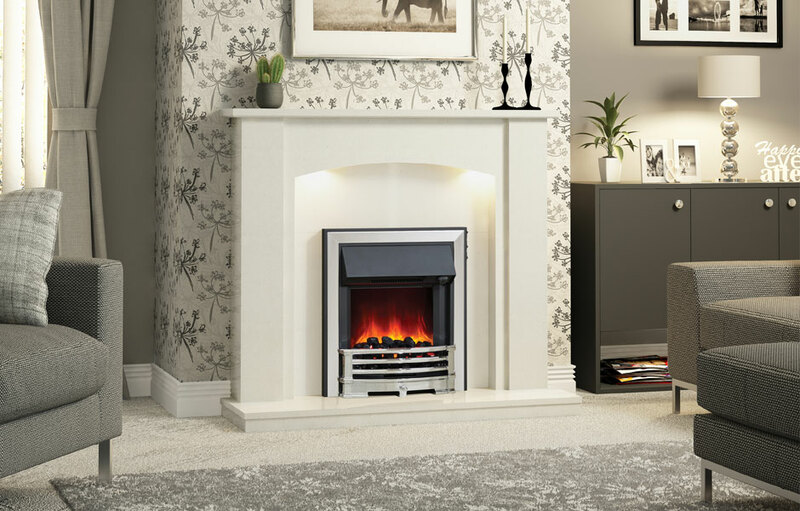 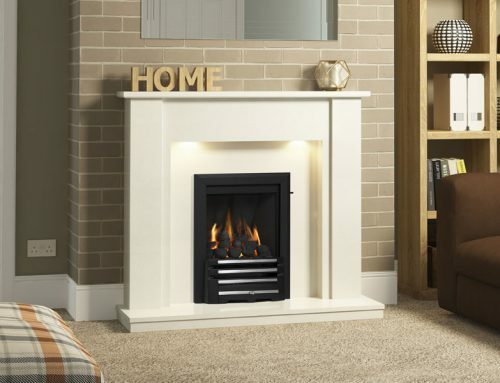 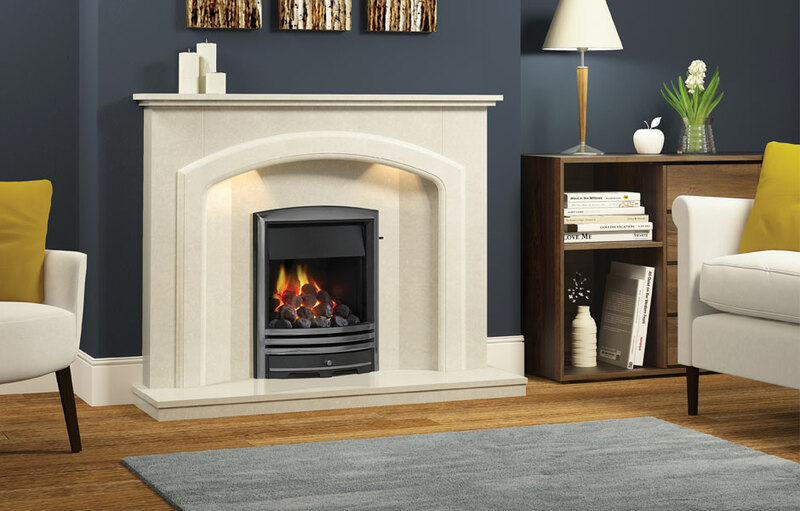 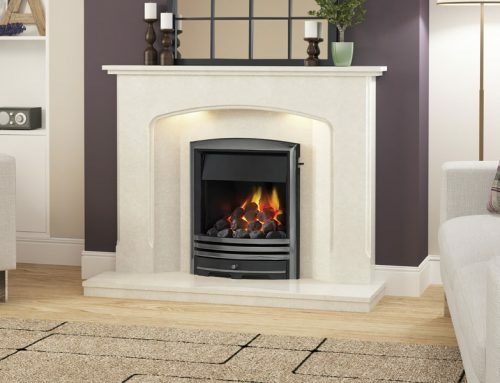 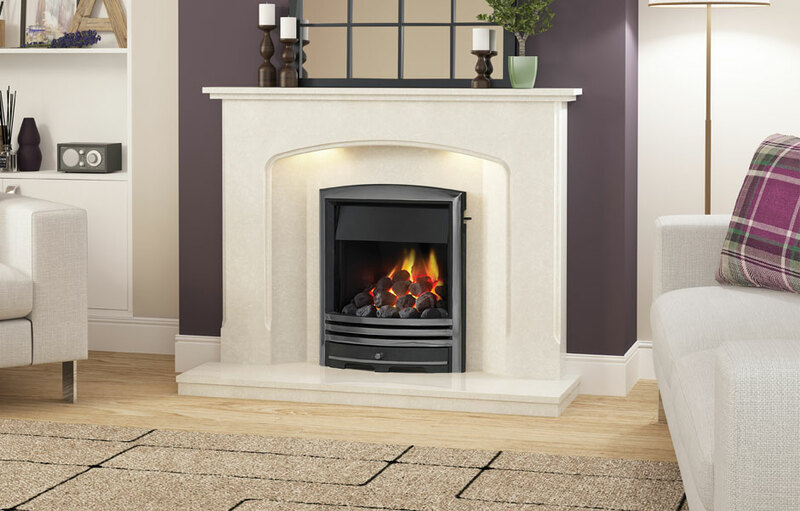 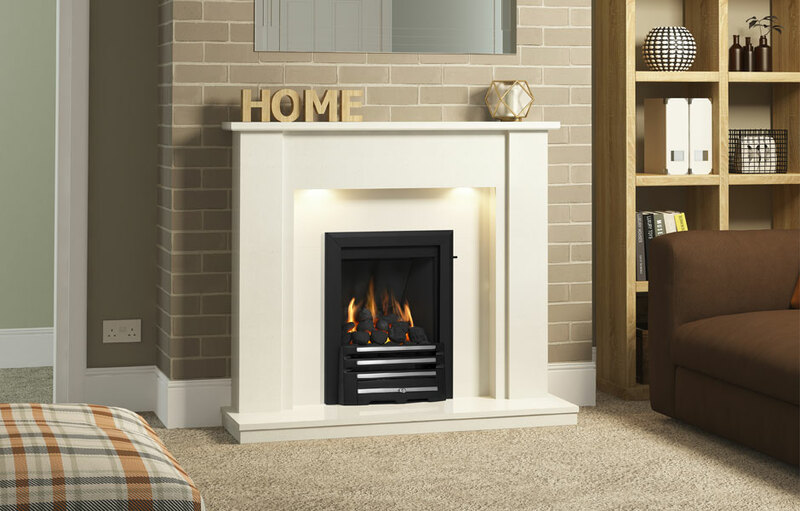 Shown here in Manila micro marble, 1150mm (45”) with an Avantgarde inset gas fire in Chrome. 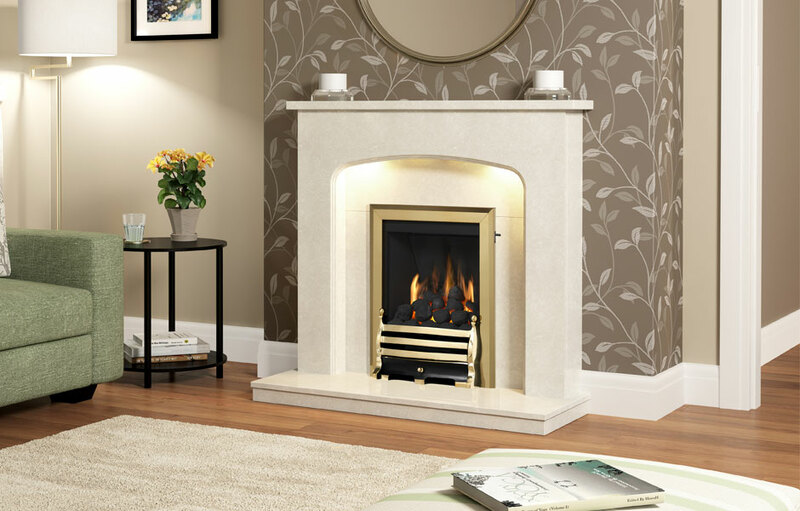 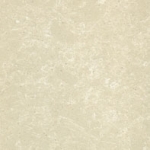 The Isabelle marble surround is available in Manila micro marble only.